Susan Vicki and I met Murray at his son's restaurant, Mary's in Malpais, Costa Rica. It's just a short ATV ride down the dirt road from where we are staying, La Hacienda. Ben was the fill in chef for tonight and he did a great job. 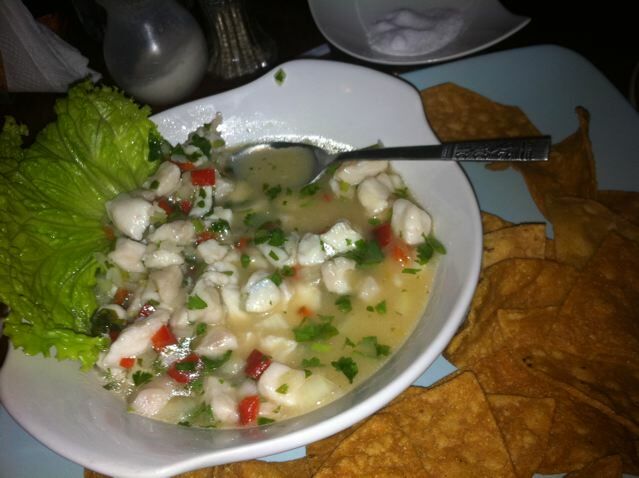 We started with the ceviche. 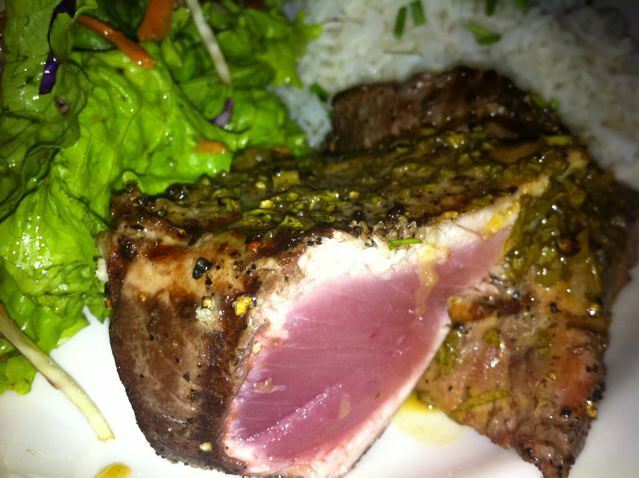 I had local tuna (I didn't feel too bad for eating it) that was marinated in soy, ginger and garlic. 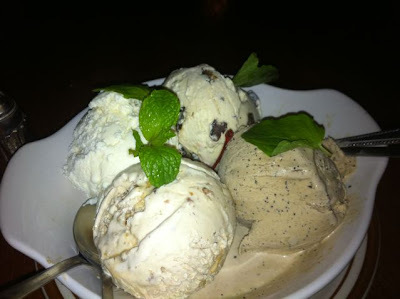 We shared four ice creams that were made in the restaurant: Nicaraguan vanilla bean, rum raisin, banana and coffee. Love love Mary's restaurant. I've been there so many times and love the fresh fresh food and fish. xo and have a Happy New Year!